These workshops are intended for artists of all levels who have some experience in watercolor and would like to further their interest in painting and designing the landscape. Some workshops meet outdoors and some indoors. Others are a combination of both. With indoor classes we paint from out photos and sketches and the outdoor sessions are directly from nature. There are daily painting demonstrations, lectures, individual instruction and group critiques. Participants are responsible for their own art materials. Paint, Live, and Eat! That should be the motto for this workshop which has become an over two decade tradition in Virginia City. Here we expand our boundaries as artists as we paint in the Victorian studio of this venerable building. Participating artists not only take the workshop but stay in the beautifully restored rooms of the 1870’s era brick building. 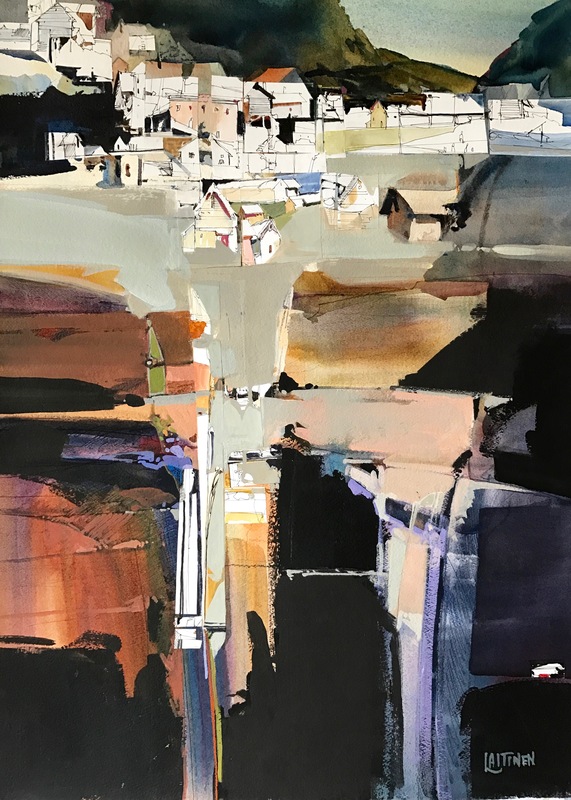 This year we will concentrate on abstract forms and shapes found in the natural and structured world of Virginia City. There is a wealth of inspiration in and around ST Mary’s and Virginia City. Creativity is the word for this class. For those commuting or staying elsewhere Tuition only/ No Lodging $425. -Big Brush Approach to water media enhances expressive shapes in your painting. -Translate the surrounding world into highly designed semi abstract paintings. -Paint on watercolor paper and Aquabord.